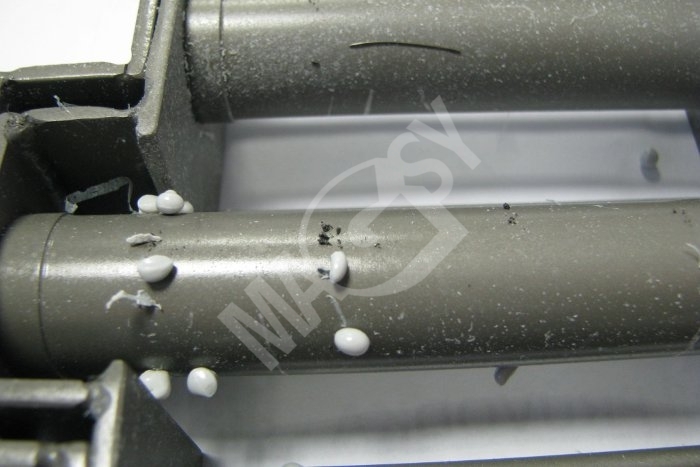 The magnet for hopper will find its application in the plastic processing industry, especially if regranulates or crushed materials are used. The magnet is to be positioned in the injection moulding machine hopper. 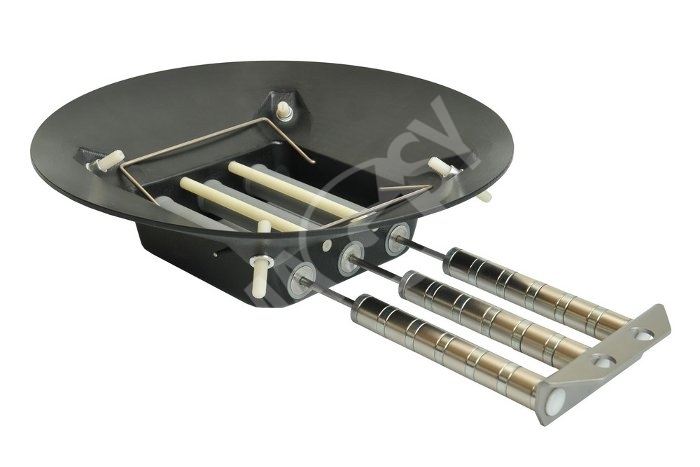 It is fitted with very strong rare-earth magnets and is capable of trapping of even very fine metal particles. 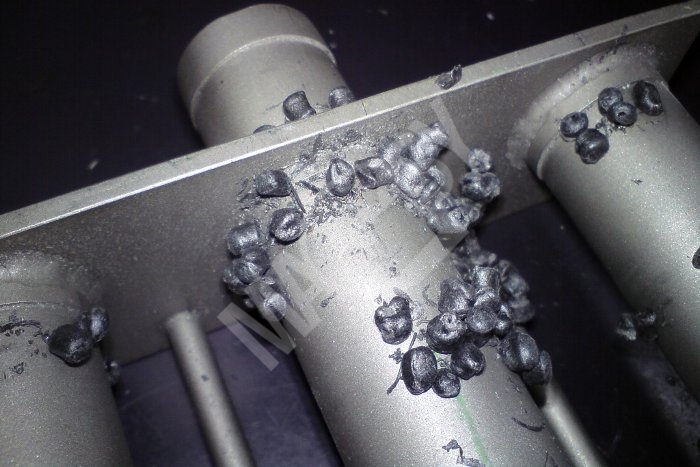 Use of the magnet in hopper leads to a considerable extension of service life of injection nozzles. Normally we are producing hoppers magnets with diameters of 100, 150, 200, 250, 300 and 350 mm. 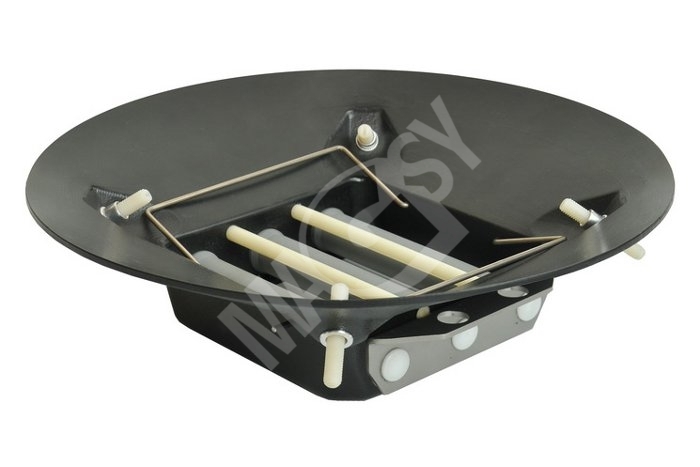 The product is available in our stock and may be delivered immediately. The product is available in our U. S. stock and may be delivered immediately. Possibility of demagnetising is the top benefit of the magnet. 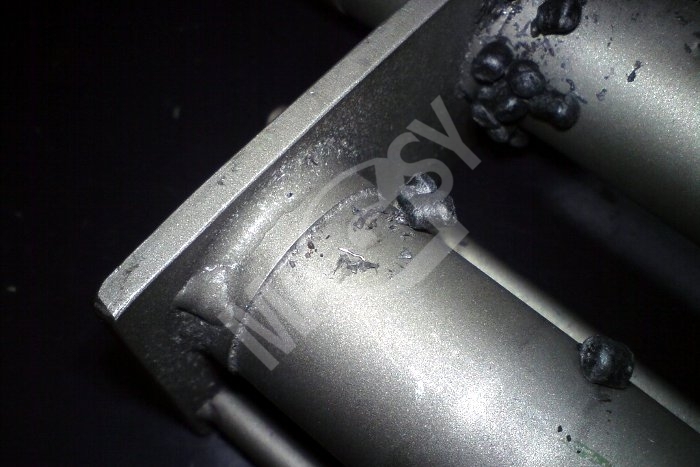 Demagnetising can be carried out by loosening a locking screw and shifting magnetic cores out of stainless steel tubes. 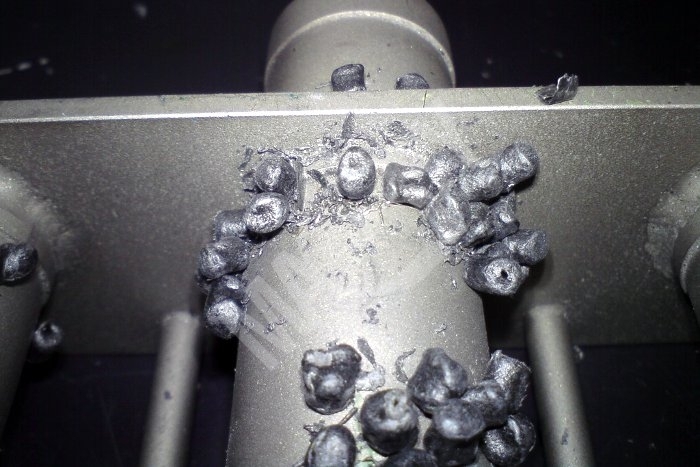 Thanks to this feature, cleaning is very quick, comfortable and trapped metal particles will fall off. 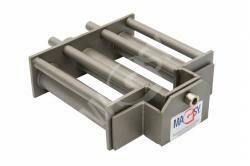 At present we are offering also magnets to be installed into injection moulding hoppers, with a temperature resistance of up to 120 °C. They are also equipped with very strong NdFeB rare-earth magnets, but with remarkably higher temperature resistance. Magnet to be placed in an injection molding machine hopper (an improved version) was developed by our team according to your requirements, stressing maximum separation efficiency and safety at work. In case of this improved version, a magnet for the injection molding machine hopper is equipped with very strong rare-earth magnets. Its main benefits consist in locating of the magnets in a plastic corpus especially. The corpus covers the entire injection molding machine hopper cross-section. 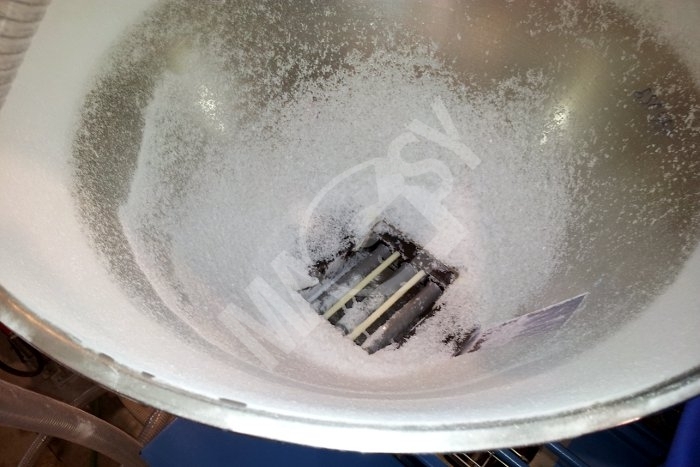 This way we guarantee that all plastic granulated material falls through the magnetic grates on which metal impurities coming from the granulated material will be caught. 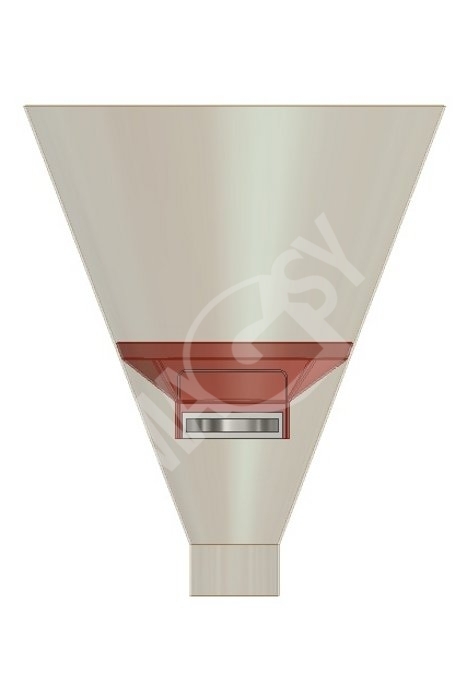 We offer plastic corpuses in various dimensions in order to enable you using this separator in many types of hoppers. Plastic corpus is made of the ABS material (acrylonitrile-butadiene-styrene). 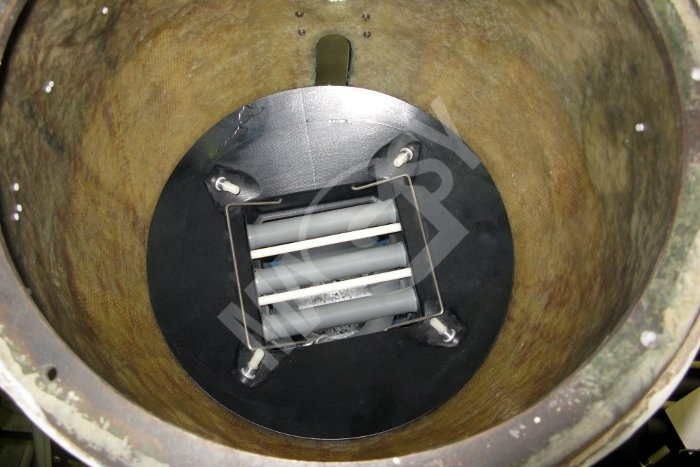 The magnets are installed in plastics pipes and their cleaning from the caught impurities is very easy and fast, i.e. 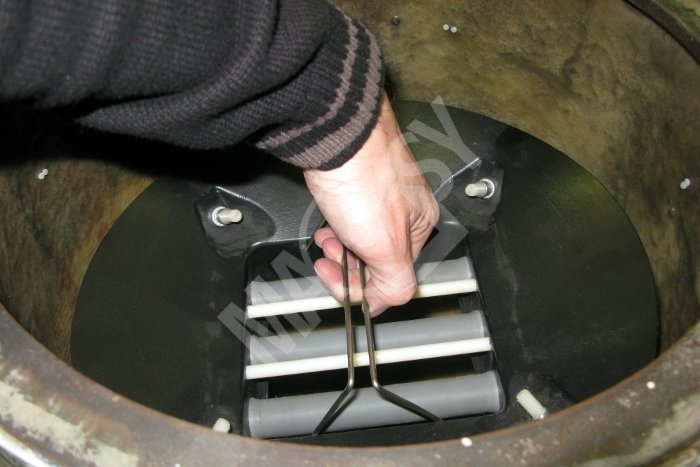 by pulling of the magnetic cores from the covering plastic pipes. Based on the picture, please select the best corpus size for your hopper. In case you are not sure in the corpus size selection, please contact us. 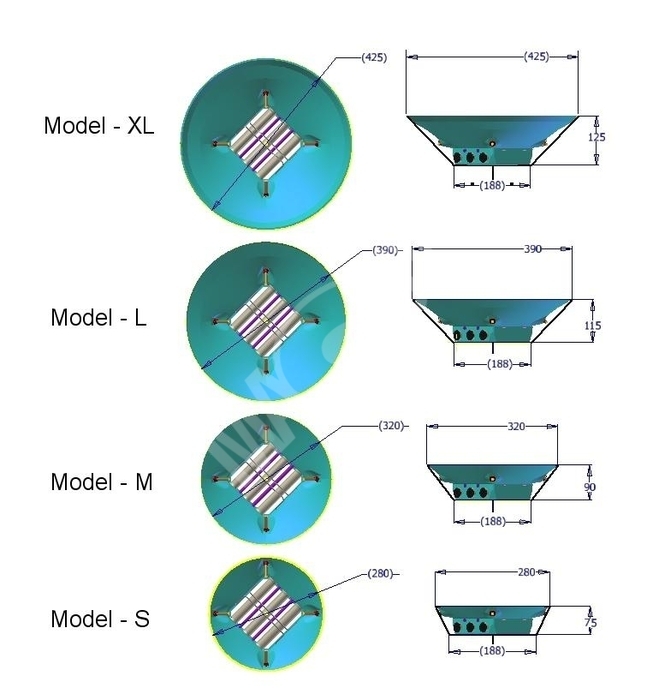 Another benefit that cannot be neglected consists in the fact that magnetic cores are firmly connected to the separator corpus. This way we improve the safety at work and prevent accidents – this is important e.g. in case of a careless manipulation with very strong magnetic cores and their putting aside onto a metal pad. In addition to the magnet to be installed in an injection molding machine hopper, you can also buy a cleaning instrument, universal for all corpus sizes. Cleaning will become therefore even faster and simpler. 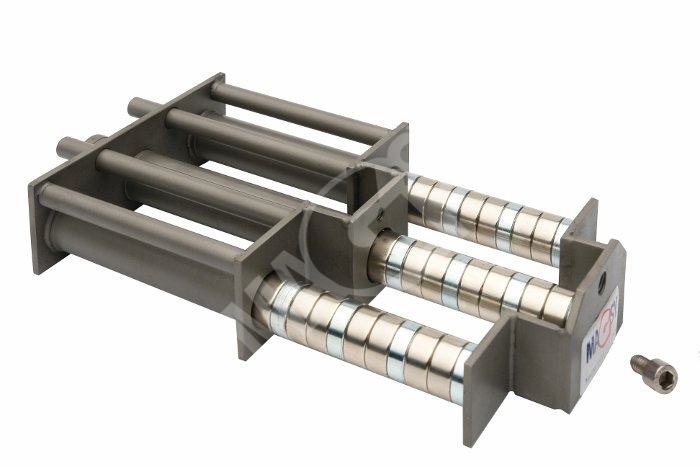 Strong rare-earth magnets NdFeB are used. The corpus fills the entire injection molding machine hopper area – high separation efficiency. Low weight and easy cleaning. 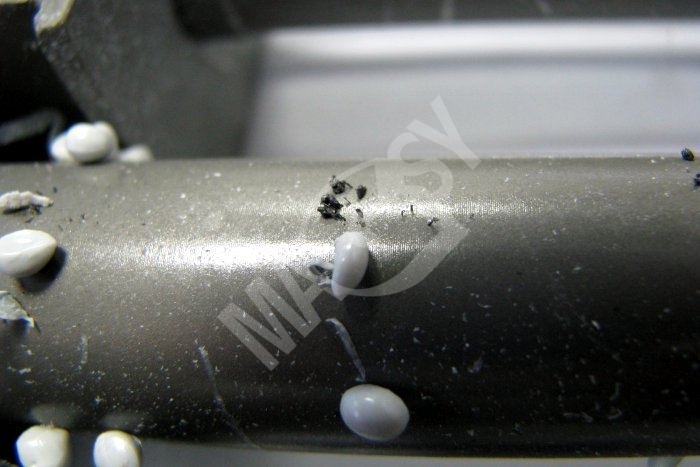 Magnetic cores are firmly attached to the separator corpus – injury prevention. The same price for all models of the magnet for hoppers, with no regard to the corpus dimensions. The corpus is made of a tear resistant plastic material. Comfort cleaning using the cleaning instrument (universal for all models). 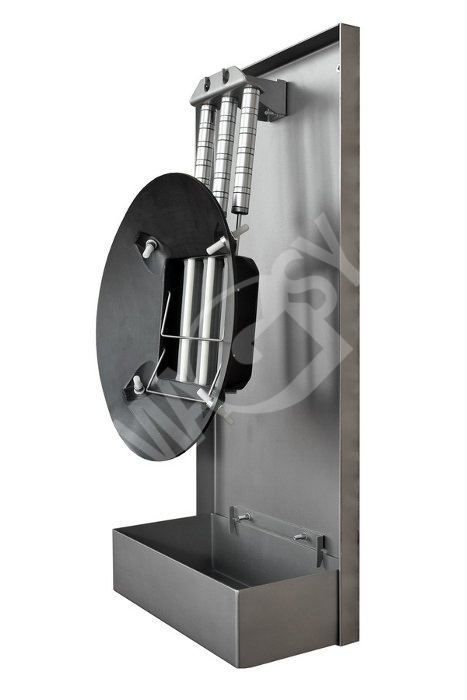 Hang the separator on the auxiliary hooks located on the cleaning instrument situated on any place on the wall.